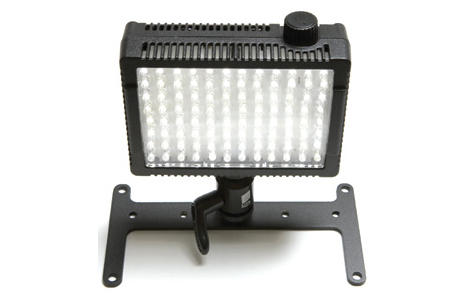 Litepanels®, a Vitec Group brand, announces that the Hilio high intensity LED lighting fixtures are now shipping. Daylight color balanced Hilio is a small-footprint LED fixture capable of emitting 5600°K illumination over a 20’ to 25’ (6.1 – 7.6 M) distance without requiring a ballast. The slim, 14” W x 10” H x 4” D (356mm W x 254mm H x 102mm D) Hilio is equipped with a standard yoke for easy mounting and positioning on light standsor in a grid. It features an integrated rear gimbal plate for accessories and power supply attachment as well as a front gel slot. When shooting with a video capable DSLR, lighting is everything. Bad lighting will make your pictures and video look dark, grainy and just plain bad. One solution to bad lighting is to add an external light source. Typically, a DSLR user will need a video light for video and a flash for photography. But what if we could combine the two? The team at Litepanels did just that. The result is the Litepanels MicroPro Hybrid. Let’s find out how it works in the field. 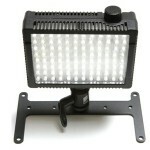 According to Litepanels, the MicroPro Hybrid is an industry first continuous LED light combined with a “Flash” feature. 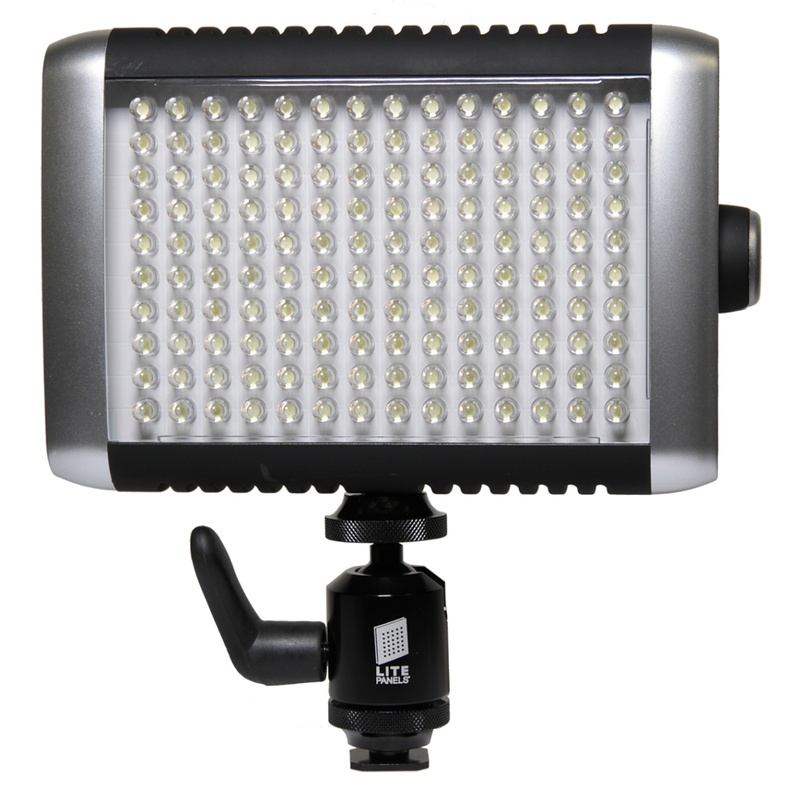 The Litepanels MicroPro Hybrid completes the “Mirco” series that includes the MicroPro (no flash capability) and the smaller original Micro Litepanels. The MicroPro Hybrid is housed in a 10.5 oz (300g) plastic enclosure and has exterior width, height, depth dimensions of 5.5 inches (140mm), 3.75 inches (95mm) and 1.5 inches (38mm) respectively. The MicroPro Hybrid generates 50 effective watts of light in “Continuous Mode” while consuming only 9 watts from six, internally mounted, AA batteries. The “Flash Mode” triggered via a sync cable pushes the MicroPro Hybrid to deliver a 400% burst that translates to an effective 200-watt flash. Also included with the MicroPro Hybrid is a ball head shoe mount adaptor, gel filters and a nice two-compartment travel case. The MicroPro Hybrid uses a total of 96 LEDs arranged in a rectangular grid 12 wide by 8 tall. The easy-to-use continuously variable dimmer knob allows complete control from off to 100% full brightness. On initial turn-on, the MicroPro Hybrid flashes at the same 400% intensity as the Flash Mode. The housing has slotted vents around the entire perimeter of the unit. 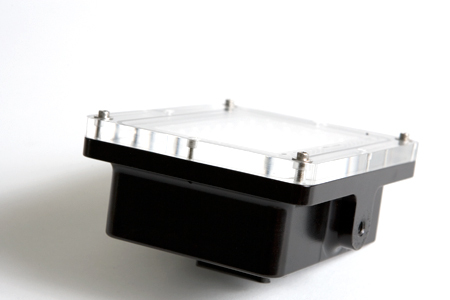 The front of the MicroPro Hybrid has two slots for mounting the included 3200˚K tungsten conversion (warm white), ¼ warming and full diffusion filters. The overall feel of the unit is quite lightweight. On the back of the MicroPro Hybrid, the door that accesses the six internally mounted AA batteries covers the majority of the panel area. Opening the door requires pushing down on two simple yet secure top-mounted tabs. Left of the flash door is the Flash Ready indicator, flash sync cable port and the external power port. 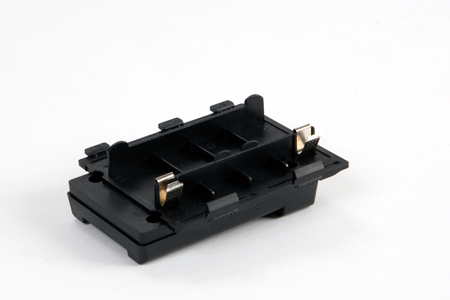 The external power port will accept voltage input from 6Vdc to 15Vdc. 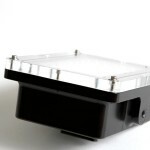 There are also mounting slots for storing the included gel filters. Storing the filters on the back blocks access to both the power and flash sync ports. 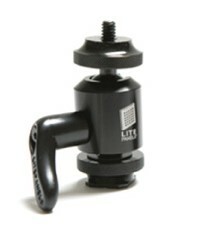 Litepanels offers an optional off-camera Base Plate with Ball Head Shoe Mount. 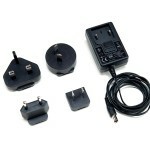 For AC powered use, there is the # 900-5000 AC adaptor kit that includes both US and international plug configurations. 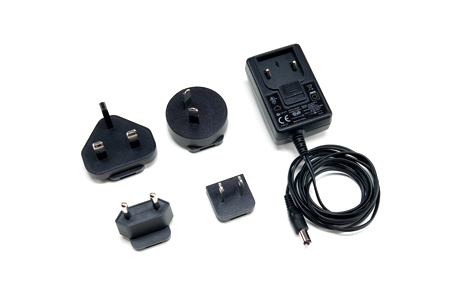 There are optional adaptors to use the rechargeable DV batteries from Sony, Canon or Panasonic video camera to replace the standard AA batteries. For the aquatically inclined, Litepanels has partnered with Hydroflex to offer an underwater enclosure for the MicroPro Hybrid. 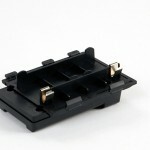 (www.hydroflex.com) Although you cannot use the flash feature, you can still use the dimmer control underwater. So cool! Litepanels has no fewer that 10 lighting based patents. The MicroPro Hybrid uses Litepanels heat-free LED technology to produce a significant amount of flicker free light with very little power consumption. 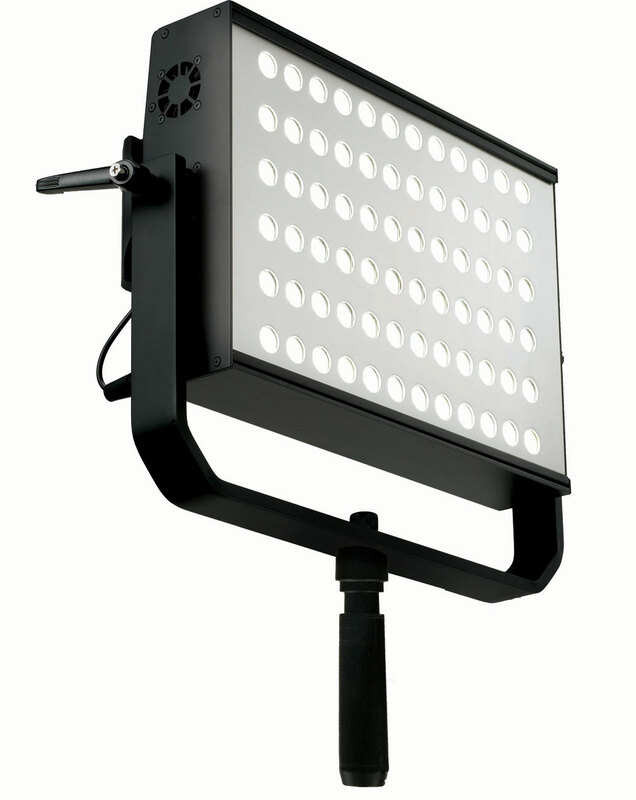 This trademark Litepanels LED technology has many advantages. If you have used regular lights for video camera, you know that low-heat lighting is absolutely amazing. The reason the Light Panels MicroPro Hybrid generates so little heat is that LED lighting is super power efficient. This efficiency allows the MicroPro Hybrid to deliver tons of light with very little power. This brings us to our second advantage. Using standard AA batteries will give you and up to 1.5 hours of continuous use. Upgrading to Energizer e2 Lithium cells increases the usable time up to 6 hours. Impressive! 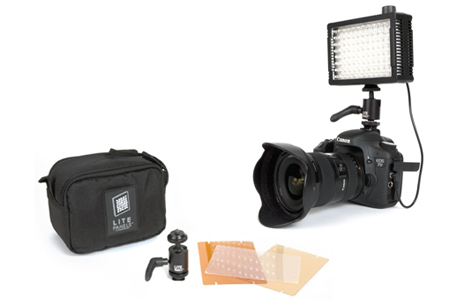 The Litepanels MicroPro Hybrid light quality really sets it apart from the competition. The MicroPro Hybrid produces a cool 5600˚K (Daylight Output) color that does not shift. With the dimmer, you can get precisely the amount of light you desire for a subject. Top that off with an over 50,000-hour life expectancy and you get one impressive on camera light. Attaching the MicroPro Hybrid to my Canon 7d video capable SLR is a snap. I had two small issues with the ball head shoe mount adaptor. The adaptor came loose when I was re-adjusting the Hybrid to get the right light angle. I also found that angling the MicroPro Hybrid to reflect light off the ceiling made tightening the adaptor a little awkward. Once tightened, however, the mount was solid. I love the ergonomics of the MicroPro Hybrid. It was extremely easy to reach up and make small adjustment to the light intensity with out looking away from my Canon 7D viewfinder. 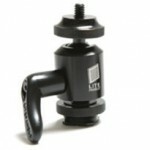 This ease-of-use is essential for quickly dialing in the shot. The consistent light color made changing light level possible without the need to correct for white balance between the shots. To engage the flash feature, all I had to do was simply connect the included sync cable to the flash control of my Canon 7D. While there are no adjustments for the flash, I found that it out performed the internal flash of my 7D. 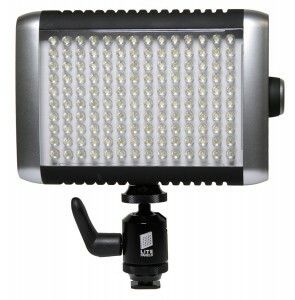 The Litepanels MicroPro Hybrid excels as an on camera light source. 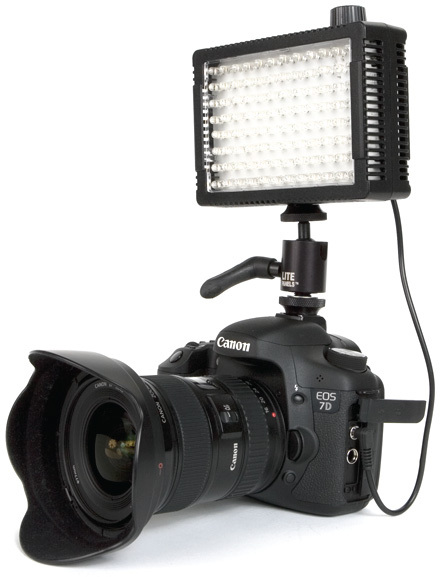 With both photography and videography, the continuously adjustable control for additional light is just so handy. Looking at your subject through the viewfinder, even the subtlest changes in light intensity are easy to see. Although the MicroPro Hybrid is optimized for video use, I found the flash feature to be quite effective. Not as flexible as a dedicated flash but better than the on camera flash of my Canon 7D. People serious about getting great results from the video DSLR camera should not go without one.